The term 'Green' has nothing to do with the colour of the oak. Green Oak is the term describing unseasoned sawn timber, usually cut within 3-18 months and having a moisture content of between 30-80%. 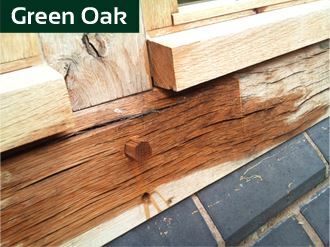 As a result, when the oak dries out, it shrinks, moves and splits, making it totally unsuitable for use anywhere close to glass and Richmond Oak Conservatories does not use Green Oak. 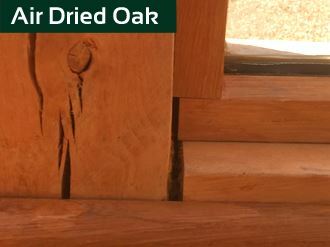 Air Dried Oak can be described as 'semi-seasoned' in that is has been cut to size and left to dry naturally. However, it is generally understood that it is very difficult for timbers of 100mm (4″) square, or greater size, to dry out properly inside. The use of air dried oak means that during the drying out process, a large percentage of the movement of the timber has taken place, so there is less splitting and movement than with green oak. 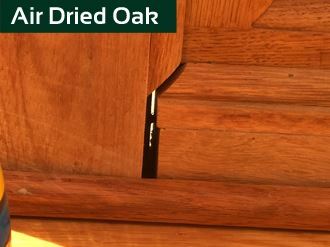 Whilst, air dried oak is drier than green oak, it is still prone to significant movement and considered unsuitable for glazed structures. Movement in the posts, creates pressure on the edge seals of the glass units and creates a high risk of unit failure. 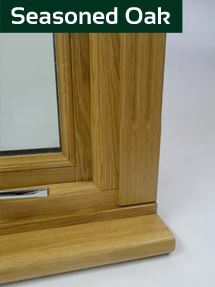 It’s interesting to see some of the 'Heath-Robinson' glazing methods and uniquely named solutions of the Companies using air dried oak. 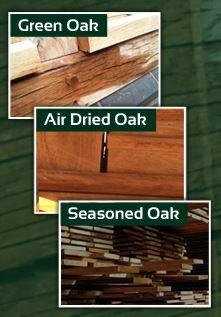 Richmond Oak does not use Air Dried Oak. 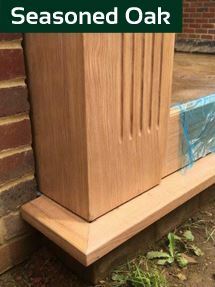 Seasoned Oak has been cut into boards, usually 20-50mm (3/4″-2″) thick and stacked, separated with small battens (sticks), to allow the timber to breath and over a period of time, the moisture content is to be reduced to approx. 13%, suitable for window and door frame construction and conservatory roof rafters. It takes approx. 1 year per 25mm (1″) to season properly During this slow seasoning process, the stacked boards will stay relatively flat and straight, protected from rain from above. 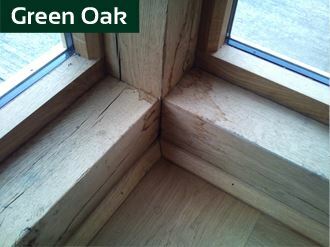 Properly seasoned oak, minimises movement and allows the implementation of approved glazing methods such as those used in the construction of Orangeries, Conservatories and Garden Rooms. 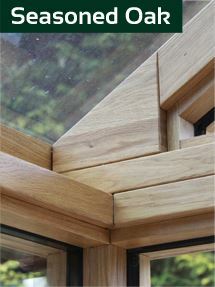 Especially if the oak is engineered, which further stabilises the oak. 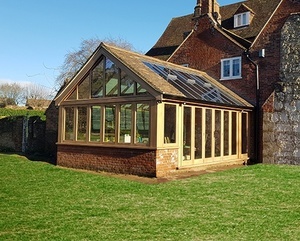 Richmond Oak Conservatories always uses Seasoned Oak. 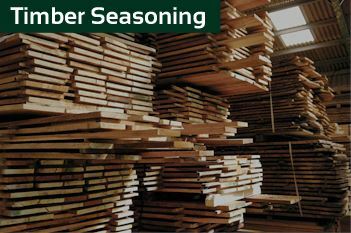 Seasoning is the process of reducing the moisture content in timber to a stable level. 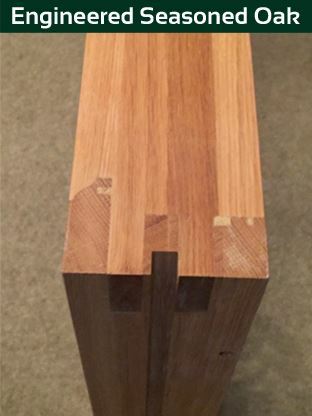 Moisture content is a measurement of the amount of water in the timber compared to the material's dry weight. Moisture content is influenced by various factors, such as the temperature and humidity of the air which surrounds it. The moisture content wood finally reaches in a given climate is called the equilibrium moisture content (emc). The seasoning process is to remove the water without defects developing in the wood. "The art of successful seasoning lies in maintaining a balance between the evaporation of water from the surface of timber and the movement of water from the interior of the wood to the surface" (Desch, 1981). 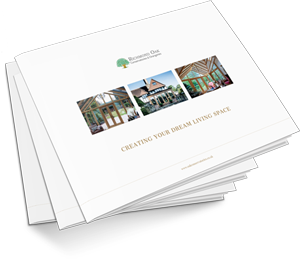 With few exceptions all timber needs to be seasoned known as wood-drying. The process reduces the presence of water in the wood and thus dramatically reduces the danger of movement when the timber is in use. The process also reduces the danger of fungal attack and improves the strength and workable properties of the wood. Richmond Oak always uses Class 1, FSC certified, fully seasoned European White Oak. Equally importantly, if a conservatory rafter of say 5m length is required, if made from non-laminated timber, it is susceptible to movement, or bowing. This is not a good idea in a glazed roof where such movement is the common cause of the glazing to leak. 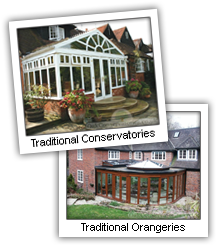 Again Richmond Oak Conservatories Ltd. only uses Engineered, Seasoned Oak in all of its Conservatory, Orangery and Garden Room Projects.